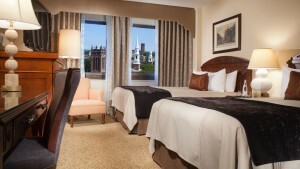 Enjoy breathtaking views from many of the guest rooms and from John Davenport’s restaurant. Omni New Haven Hotel at Yale is close to Union Station, home to Metro North and Amtrak Railway, and just fifty miles from Hartford’s Bradley International Airport. You may reserve your room by calling (203) 974-6727 and asking for Laura Sokolski, referencing the National Symposium on Eyewitness Identification Reform. One night accommodation is covered with event registration. 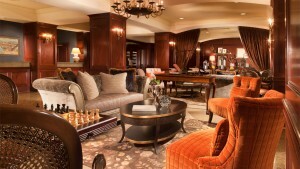 If you are staying additional nights the room rates are locked in at $189.00/night for Symposium attendees. Please register for the event before booking your reservation. Please refer to this event when booking to ensure you receive the proper rate; the hotel will credit 1 night, and charge appropriately for any additional nights. A credit card is required on file for making your reservation.